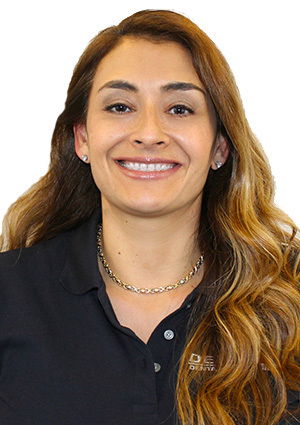 Alexandra Torres, is a Dental Hygienist here at Dentfirst. As a Hygienist she is here to take care of her patients not only for their cleanings but also provide patient education and patient counseling for their dental needs. She has worked at Dentfirst since 2001 when she graduated and received her Bachelors degree from Clayton State University. She was voted “most gentle” amongst her class of graduates. This along with making her patients feel comfortable and giving them a healthy smile has been what she is most proud of as a Dental Hygienist. Alexandra is very patient, passionate and a positive impact to the oral health of every patient she sees. She is also bilingual, she is fluent in Spanish, married with a son and a daughter and two miniature schnauzers that complete her family.